Dr. Paul Thomas is introduced by Mark S. Lee. Paul Thomas, MD is a board-certified family medicine physician practicing in Southwest Detroit. His practice is Plum Health DPC, a Direct Primary Care service that is the first of its kind in Detroit and Wayne County. His mission is to deliver affordable, accessible health care services in Detroit and beyond. He has been featured on WDIV-TV Channel 4, WXYZ Channel 7, Crain's Detroit Business and CBS Radio. He has been a speaker at TEDxDetroit. He is a graduate of Wayne State University School of Medicine and now a Clinical Assistant Professor. 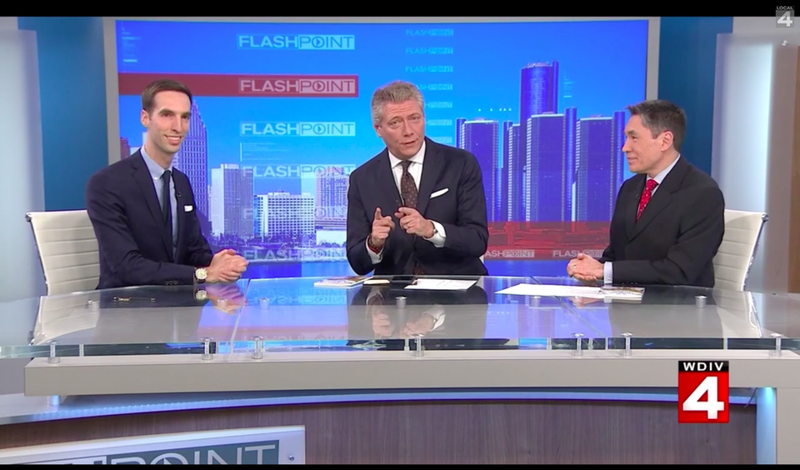 Two weeks ago, we were featured on Flashpoint with Devin Scillian and Dr. Frank McGeorge. We were able to discuss the Direct Primary Care model and what’s included in a membership with Plum Health DPC. 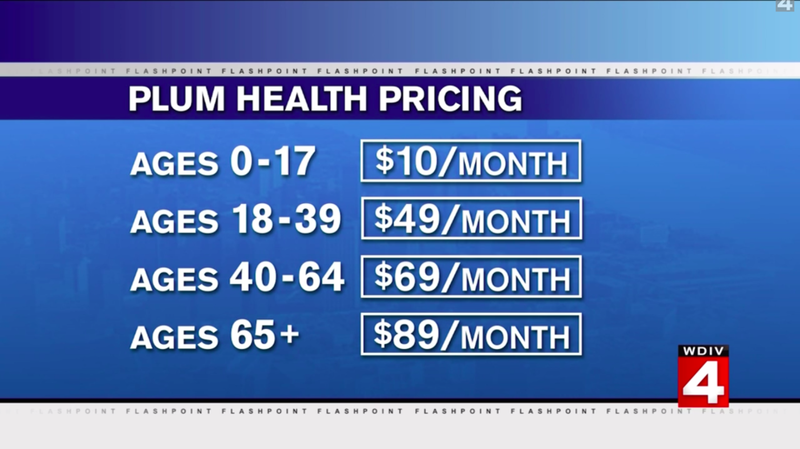 At Plum Health, we believe that health care should be affordable and accessible for everyone. We also believe in the power of a personal relationship with your physician. To that end, all of my patients have my cell phone number, and can contact me at any time, and they can have an appointment in our office same-day or next-day guaranteed. People are choosing Direct Primary Care services because they are looking at rising premiums for health insurance and seeing less and less value from these insurance plans. We also discuss how to differentiate health care from health insurance. The beginnings of Plum Health DPC and the growth of the practice - we’ve met and exceeded our growth goals for Plum Health. We currently have 425 to 430 active members in our practice. People choose Plum Health because they want to have a personalized relationship with their doctor. People are over-insuring, or insuring everything from Flu Shots to ICU care, and this drives up the prices of everything in between. When you remove the third party payers, you can lower the cost of care. Direct Primary Care: The Cure for Our Broken Healthcare System - I wrote the book because our health care ecosystem is so complicated, and I wanted to write a book that could guide folks to understanding the Direct Primary Care movement and our practice. I broke up the book up into three chapters: the current crisis in our primary care system, defining direct primary care, and showing the impact that we’re having in our practice, Plum Health DPC, in Southwest Detroit. With the recent media appearances, there are more and more primary care doctors starting Direct Primary Care practices. There’s been a groundswell of physicians taking up this DPC model, because there’s been a groundswell of patients standing up and demanding excellent primary care services from a physician that they can trust. We spoke at TEDxDetroit in November of 2017 and, looking back, there have been several key events that helped us grow. The TEDxTalk, the Crain’s Detroit business profile, the Channel 4 WDIV story and the Channel 7 WXYZ story all contributed to our success. As we’re growing, more and more patients are spreading the word about Plum Health DPC via word of mouth. We’ve had some great reviews from our members! Excitingly, we’re growing and planning to add another doctor to our practice this year to be able to care for the next 500 patients who want to join. Thank you so much for reading and listening, and have a great week! 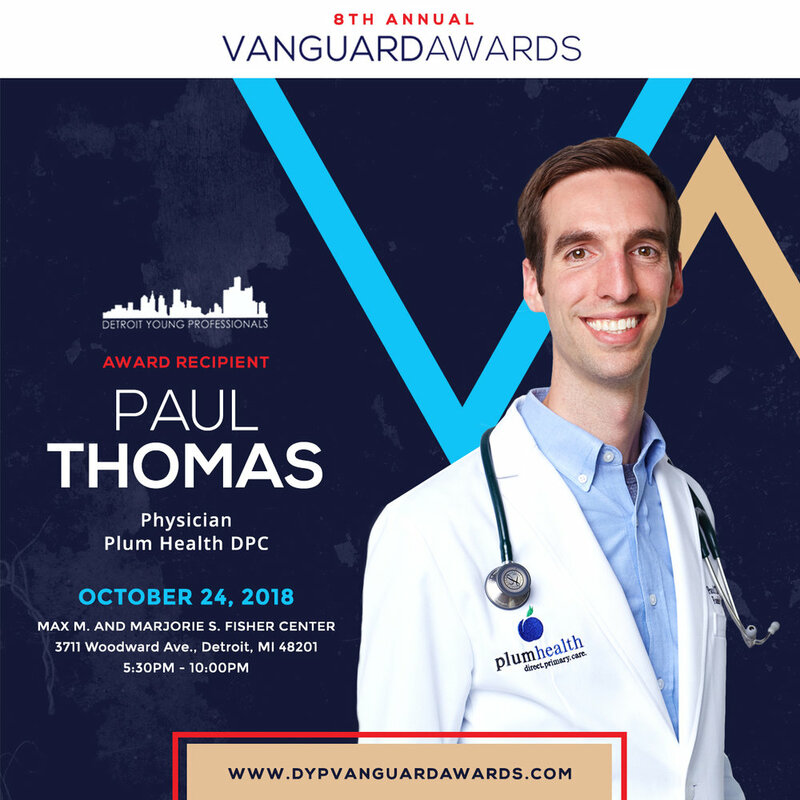 Last night, I had the incredible honor of receiving the Detroit Young Professionals Vanguard Award for our work with Plum Health DPC in Southwest Detroit. We believe in providing affordable, accessible health care in Detroit and our mission is resonating with people in the greater Detroit community. These sort of awards are meaningful in that they can bring greater attention and awareness to those underserved by our current health care system. This week I am humbled to have been selected as a Detroit Young Professionals Vanguard Award Recipient along with an amazing class of movers and shakers. The winners are from various professional backgrounds and represent the next generation of leaders in Detroit and beyond. Beyond being an award, this honor symbolizes that this idea is gaining traction. The idea that health care should be affordable and accessible for everyone. 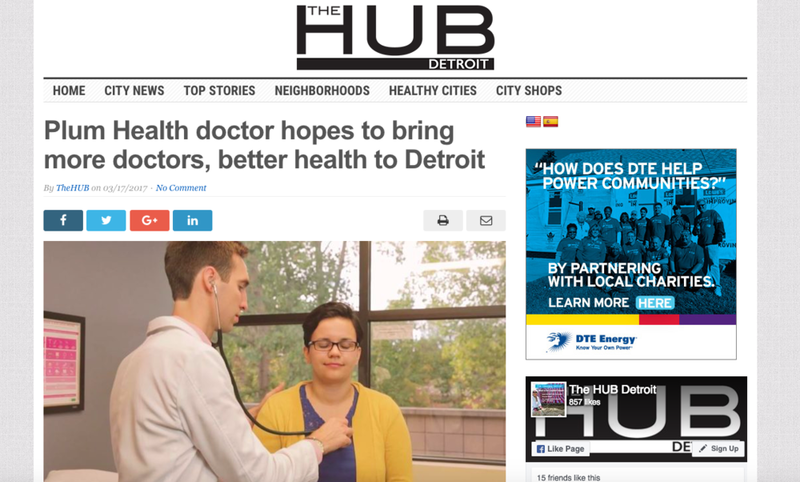 The idea that Detroit deserves excellent primary care services. The idea that we can make a tangible difference in people's lives by doing the right thing. A sincere thank you to the Detroit Young Professionals organization for selecting me for this honor, and a heartfelt congratulations to my fellow awardees. See you October 24th at the Vanguard Awards! Today I'm ecstatic to see Plum Health DPC mentioned by Model D Media. If you're unfamiliar, Model D Media is a relentlessly positive digital publication that focuses on art, architecture, business, and development in and around Detroit. Your own personal doctor, on call and on demand. That’s what Dr. Paul Thomas is pitching with his Plum Health practice in Detroit. Rather than pay a doctor for each visit, Thomas is instead instituting a monthly subscription-style service for his patients. What’s more is that you don’t need health insurance for his services (though Thomas does encourage patients have health insurance as he doesn't offer hospital-type healthcare). Dr. Thomas’s patients receive unlimited care for a monthly fee, which breaks down as follows: Ages 0 to 17, $10 per month; 18 to 39, $49 per month; 40 to 64, $69 per month; and ages 65 and up, $89 per month. The service results in significantly cheaper lab tests, prescriptions, and more. Dr. Thomas could disrupt the field of primary care, right from his office in Detroit. A tweet from @ModelD about Plum Health DPC, a startup in Detroit that could change the world. Running a successful business is tough. Running a successful mobile business can be even more difficult! This week, I participated in a panel discussion that took a deep dive into what it takes to run a successful mobile business in Detroit. The panel was a part of Build Institute's Open City series, and featured four business owners: Lisa Waud of Pot and Box, Alleah Webb of Drifter Coffee, Ebony Rutherford of Trish's Garage, and Paul Thomas, MD (that's me!) of Plum Health DPC. The panel was expertly moderated by Sarah Donnelly of TechTown Detroit. Build Institute's Open City Panel, featuring Ebony Rutherford, Alleah Webb, Paul Thomas MD, and Lisa Waud. The panel was moderated by Sarah Donnelly. The event was hosted by Build Institute's Christianne Malone. Ebony Rutherford of Trish's Garage talked about the choosing the right events to attend, citing that it's easy to lose money by purchasing table space at a poorly attended event. However, turning lemons into lemonade, she would take that time at a slower event to work on her social media production and marketing. Alleah Webb of Drifter Coffee has built a successful business around an Instagram-able/Pinterest-able mobile coffee house. Her business is among the most unique in Detroit, creating a mobile coffee experience for her audience. Alleah often participates in public events, like Noel Night, Open Streets Detroit, and MoPop Detroit, and she has also found success by catering to private events, like weddings. This all makes for an interesting story, and Drifter Coffee has gotten some great traditional media exposure, as in this Hour Detroit article. Lisa Waud of Pot and Box also created a ton of buzz from not only having a mobile flower shop, but also by creating The Flower House Detroit. In the panel, she talked about the pros and cons of operating out of a truck that can have adverse effects on their inventory. For example, when it's 90 degrees outside, the flowers can wilt in less than 3 hours if they are in the truck. As a business person conscious of profit and loss, she is considering the costs and benefits of continuing the flower truck operation. It's expensive to have insurance for a mobile business and it takes a lot of energy and staffing costs to operate successfully. Build Institute's Open City Detroit event, held at the Atwater Brewery, 237 Joseph Campau Ave, Detroit, MI. This was an important point in the conversation! Is a pop-up business/mobile business the end goal or a means to an end? Sometimes, a mobile or pop-up business can lead to a permanent brick-and-mortar establishment. On the other hand, some entrepreneurs prefer the mobile/pop-up business model as it can greatly reduce overhead costs. For me, having a mobile offering in the first few months of our operation of Plum Health allowed us to operate with a low overhead while building momentum. The goal was to engage enough customers to justify leasing out an office space. Once we had enough momentum, we were able to lease out our office and build from there. At Plum Health, we still offer house calls to our members, but now there is an added cost to these house calls, whereas house calls were standard in the first 2 months of operation. All in all, this was a great panel, and I learned a great deal from my fellow panelists and from the moderator, Sarah Donnelly. To the folks at Build Institute, thanks for the invite! And I'm looking forward to the next season of Open City! This weekend I was featured on Small Talk with Mark S. Lee. The radio broadcast airs on CBS Radio in Detroit! I was last on Small Talk in March 2017, and since that time, Plum Health DPC has grown in size and I've been asked to participate in some speaking and community events. In this episode of Small Talk with Mark S Lee, we talk about the TEDxDetroit event that was held on November 9th 2017. We highlight a few of the key points that I spoke about during that event. Foremost, I believe that health care should be affordable and accessible for everyone. Second, we talk about how doctors can be overloaded by their patients' concerns, and those concerns can slip through their fingers, like grains of sand. We also give an overview of Direct Primary Care and how you can find a Direct Primary Care doctor near you by using the DPC Mapper online. Mark asks what's wrong with our current system? And I respond by saying that the prices in the health care ecosystem are inflated, which makes health care unaffordable for many people. To illustrate, I make an analogy about Health Insurance vs. Auto Insurance. If we used our Auto Insurance policies to pay for tire rotations, oil changes or gasoline, those prices would be significantly inflated. However, that's exactly what we do with our Health Insurance policies. It's always enjoyable being on Small Talk with Mark S. Lee, and this time was a unique experience as the Honorable Former Mayor Dave Bing was interviewed just prior to my time slot! Not only is Dave Bing a former mayor, but he's also in the NBA Hall of Fame. He continues to be an example of great leadership as he continues his work with the Bing Youth Institute, so it was an honor to be a part of the show with him. 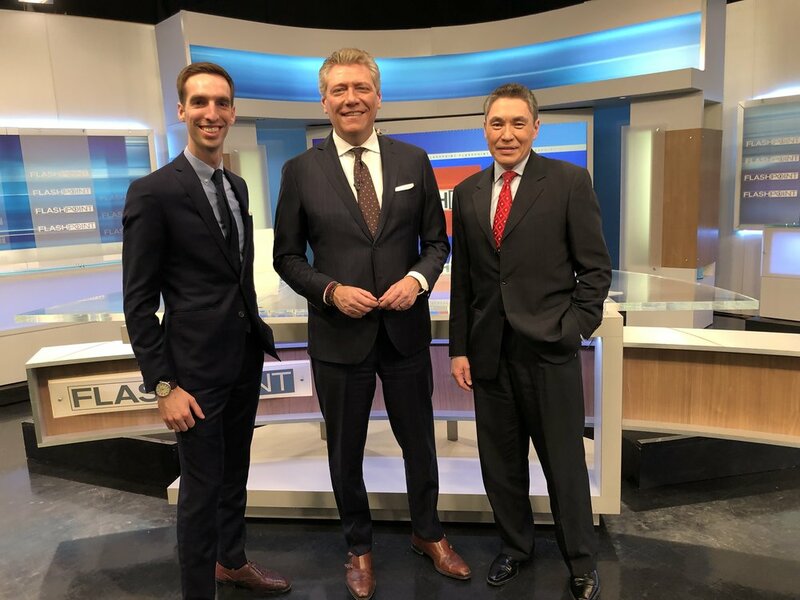 Thanks for reading and thanks for watching! This week, Plum Health DPC was featured on the blog Good Life Detroit. Jennifer is the creative spirit behind Good Life Detroit, and she did a fantastic job writing about our clinic and Direct Primary Care in general. I really appreciated her perspective as a mother - she notes in the article that she has 5 children! - and that she paid $125 for a 20 minute doctor's visit for one of her children. Contrast that with our clinic, her child could have been seen for a full year for $120, with as many visits as needed included in that price. This is how we make our primary care services valuable for the community that we serve. If you were not aware, Detroit is a large, low-income population. We recognize this as a fact, and have adjusted our pricing to be accommodating for the community that we serve. "Another great benefit of Plum Health Direct Primary Care is patients have the opportunity to speak directly to Dr. Paul without the hassle of long wait times and call screenings. Instead of having to go through a series of steps just to talk to their doctor, patients can call, text, or email Dr. Paul directly. In some cases, some doctors require you to leave a message with the office staff for a callback. "Most of the time the office staff member screen’s the doctor’s calls and you have to tell the staff member exactly what it is you need or what your question is. Then you wait for the doctor to call you back, which can be anywhere from the same day or one to two days later, all depending on the doctor’s schedule. "Members of Plum Health have Dr. Paul’s cell phone number and email address. They can reach him anytime they need to ask a question in regards to their health." There are several other great points that she makes throughout the article. I was really impressed at her depth and thoroughness. I also appreciate her helping to get the word out about affordable, accessible health care in #Detroit. We're trying to serve as many folks who need this type of care, and articles like these help us to reach communities outside of our circle of influence. Plum Health Direct Primary Care is in Detroit, Michigan. We practice old-fashioned family medicine, but we use technology to make ourselves more accessible to our patients when they need us! I love this graphic that Jennifer at Good Life Detroit created for us! I also really liked this graphic that Good Life Detroit made about our pricing tiers at Plum Health DPC - really easy to read and understand! Our opinion regarding Health Insurance and Health Care was published in the Detroit News last night, and it is currently on the front of the Opinion Page! Our opinion made the top of the page for the Detroit News Opinion section on June 5th 2017. Health insurance does not equal health care. As Americans, we often conflate these two entities. But they are in fact separate. Health care is when you see your doctor. They listen to your story, empathize, perform a physical exam, make a diagnosis, and discuss treatment options. They can also order tests and give you medications. The compassion, the sincerity, the relationship — that’s health care. Health insurance is what covers you in the case of a medical catastrophe, like if you’re involved in an accident, have a heart attack or a stroke. Health insurance is a financial tool to prevent you from going bankrupt in case these catastrophic events occur. These may seem like obvious statements, but we’ve grown accustomed to a system in which health insurance covers everything, from flu shots to ICU. This may not be a terrible thing; we all need flu shots, and some of us may end up needing ICU care. The problem exists in how we pay for these services. If we continue to ask insurance companies like Blue Cross Blue Shield and government entities like Medicaid and Medicare to pay for all of our health care services, from blood pressure medications to cardiac bypass surgery, costs will continue to be inflated. So if you’re paying $10 for your lisinopril each month, know that it actually costs $0.37. If you’ve paid $120 to check your cholesterol this year, know that it actually costs about $6.55. If you’ve ever paid $150 for a chest X-ray, it actually costs about $40. When we use our insurance cards to pay for the basic, routine health care services, prices are inflated. Fortunately, we now have a choice, an opportunity to use free market principles to save money on our health care services. More Direct Primary Care clinics are popping up in Michigan and across the nation. Direct Primary Care doctors ask that patients pay a monthly membership, which allows them unlimited visits with their doctor and the ability to call, text or email the doctor any time. These doctors also provide wholesale medications, at-cost labs, and at-cost imaging services. By cutting out the middle man and asking consumers to pay for their basic services, the cost of these basic services decrease. Typical savings for medications, labs and imaging services range from 50 percent to 90 percent. Ideally, people will pair DPC services with a health insurance plan that fits their needs and their budget, and covers them in case of a catastrophic event. Paul Thomas, M.D., is a family doctor at Plum Health Direct Primary Care. A screenshot from our Opinion in the Detroit News on June 5th, 2017. This week, Direct Primary Care was featured on NBC Nightly News with Lester Holt. If you are unfamiliar with this new model for healthcare delivery, Direct Primary Care is a membership model for healthcare that charges a relatively low fee for primary care services. The NBC News team starts out the piece by discussing the amount of time that the doctor is able to spend with the family, "maybe 30 - 45 minutes". At Plum Health, our visit time is about 1 hour for initial visits and 30 minutes for follow ups, so on par with what was stated in the video. The video then goes on to discuss the benefits of Direct Primary Care with unlimited visits and the ability to text message the doctor for a flat, monthly fee. For most direct primary care doctors, patients are able to visit the doctor and have digital interactions with the doctor whenever necessary. At Plum Health, our patients can call, text, and email anytime and see us in the office anytime they need us. The article then discusses the cost of the monthly membership, which is typically between $25 and $85 per month. In our case at Plum Health DPC, our prices are between $10/month for children up to $89/month for adults over 65 years of age. Young adults under 40 years old pay $49/month and adults over 40 years old pay $69/month. Direct Primary Care practices across the country typically fall in the $10 - $100/month range. Any monthly charges over and above $100 gets into the realm of Concierge Medicine. We wrote a previous blog post about the difference between Direct Primary Care and Concierge Medicine, here. The NBC Nightly News piece goes on to discuss what's included in or what is covered by a typical Direct Primary Care practice. Typically, DPC practices cover unlimited primary care visits. At Plum Health DPC, our patients have unlimited visits with Dr. Paul, unlimited texting, emails and phone calls or unlimited digital communication. In addition, we charge at-cost pricing for routine lab tests and we charge wholesale prices for medications. Some doctors choose to include some basic blood work in the cost of the membership. Because we don't charge an enrollment fee, we chose not to include basic blood work in our service. Instead, we perform at-cost labs at Plum Health. Complete blood cell counts are $4, Comprehensive metabolic panels are $6, Thyroid Stimulating Hormone tests are $6, Lipid panels are $6.55, and we have a modest draw fee of $2. Families save money by choosing Direct Primary Care. 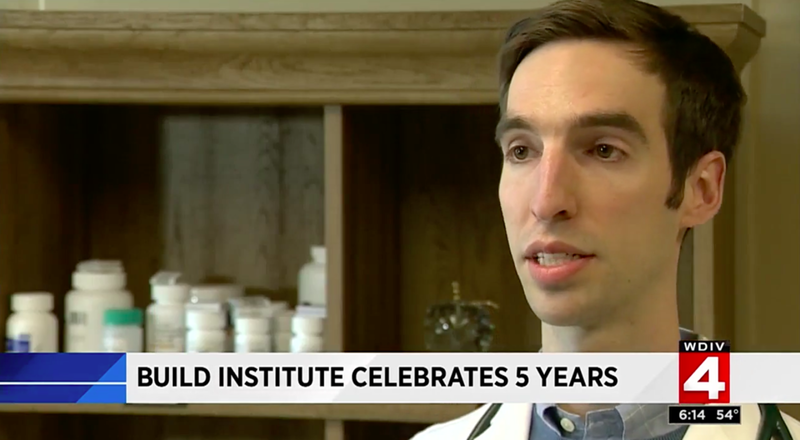 The NBC News article discusses how the family featured in the video saves $500 each month by using a Direct Primary Care service and pairing that with a low premium, high-deductible plan. This pairing of services is the ideal way to save money on your health care expenses. The issue that some people run in to is finding that Catastrophic coverage plan. Many of those plans have gone away after the Affordable Care Act was signed into law by President Obama. This is one of the many road blocks to wider implementation of Direct Primary Care plans. The other impediments include the inability to use Health Savings Account funds for DPC plans. The next part of the article gets into the philosophy of Direct Primary Care. It talks about how Dr. Cunningham left a traditional family medicine practice. Now that he operates a Direct Primary Care practice, he sees fewer patients and makes less money. But, the income loss is worth it to him, so long as the insurance companies no longer dictate how he's supposed to take care of patients. This part of the video touched a nerve with me. So often, we as doctors do not take care of our patients in the most optimal or ideal way because of the barriers put in front of us by insurance companies. By not accepting insurance company dollars, we are free to take care of patients in the way that they deserve to be taken care of. Dr. Cunningham says "It feels great to be practicing medicine the way it's supposed to be", and I agree! Operating Plum Health DPC has allowed me to develop deep, trusting relationships with my patients that I never got to experience as a resident or in a traditional practice. The element that is so important to developing this relationship is time. When I am able to spend an hour with each patient during each visit, I am able to give them my full attention and deliver the kind of care that they deserve. Dr. Cunningham, a Direct Primary Care doctor in Massachusetts, talks about how he is able to practice medicine the way he's supposed to be. On the other hand, the article highlights the critical elements of Direct Primary Care: "Critics say there's already a shortage of primary care doctors". They don't really expound upon this thought or bring this thought to its logical conclusion, which is that if we already have a shortage of primary care doctors, then it is inexcusable for those primary care doctors to see less patients. I take umbrage with this remark. There is a dearth of excellent primary care doctors because the practice of primary care medicine is one of the most challenging fields in medicine and it is often the lowest paid field in medicine. Medical students often choose higher-paying specialties in medicine that come with greater job satisfaction and less role strain. I see the practice of Direct Primary Care as solving some of the issues with the current system. DPC medicine helps to eliminate the role strain that young doctors feel. When I have an hour to take care of a patient, I can really address them as a whole person. In the traditional or fee-for-service model, a primary care doctor has 10 - 15 minutes to address the whole patient, and this is nearly impossible. I've been there, seeing patients at this rate, and the best you can do is address 1 or 2 concerns before you have to move on to the next patient. Direct Primary Care also can offer doctors a chance to earn a greater income if they have a panel of roughly 500 patients or members in their DPC practices. Some doctors choose to see less patients in their DPC practices, and therefore would make less money, but there is an opportunity to increase primary care doctors' salaries. By eliminating the role strain that primary care doctors experience and by paying them a better salary, we can attract more medical students to primary care medicine fields like family medicine, general internal medicine, and general pediatrics. I take umbrage with the thrust that doctors should not see less patients because the system is broken. It would be worse to see the system perpetuated with exhausted, frustrated, burnt-out primary care doctors seeing 2,500 patients each year. It would be better to have more medical students attracted to primary care fields, seeing 500 patients each year, limiting their role strain and increasing their incomes. Another critique is that Direct Primary Care does not cover specialists visits or hospitalizations. I find this to be a moot point because the main thrust of Direct Primary Care is to deliver primary care services directly to our patients. We make no mention of Direct Specialty Care or Direct Hospital Care, and we make no attempt to promote these services in our offerings. Too often, American consumers conflate "health care" with "health insurance", but these are distinct and separate services. You need to have health insurance, either a low-premium, high-deductible plan or a catastrophic coverage plan. This health insurance does exactly what the name implies: it insures you and your health against major, unexpected events. Direct Primary Care, then, delivers the affordable, every-day primary care services that are needed by you and your family. You need to have primary care coverage, but you shouldn't have to pay an insurance company to pay your primary care doctor for what amounts to low-cost primary care services. It makes sense to pay an insurance company to pay hospitals and surgeons for higher cost care, but it doesn't make sense to pay insurance companies to pay your primary care doctor for relatively lower cost primary care services. As a side note, Plum Health DPC does offer specialists consultations for difficult clinical questions through our relationship with Rubicon MD. This allows us to ask about diagnostic testing, special labs to order, or to help us solve a difficult problem. But, as in the video, we do not offer specialists visits as a part of our service. The closing thought from the NBC Nightly News video is that despite the drawbacks, it is worth it for some individuals and families to pay for Direct Primary Care services. As a Direct Primary Care doctor, the benefits are clear: you have a doctor on call for you any time you need it and access to time and cost-saving auxiliary services. The NBC reporter says that "Direct Primary Care is the answer, to save money and have a doctor who's always 'in'". This week, Plum Health DPC was featured in Crain's Detroit Business. The opportunity came up after meeting with Mark S. Lee on his program, Small Talk with Mark S. Lee. 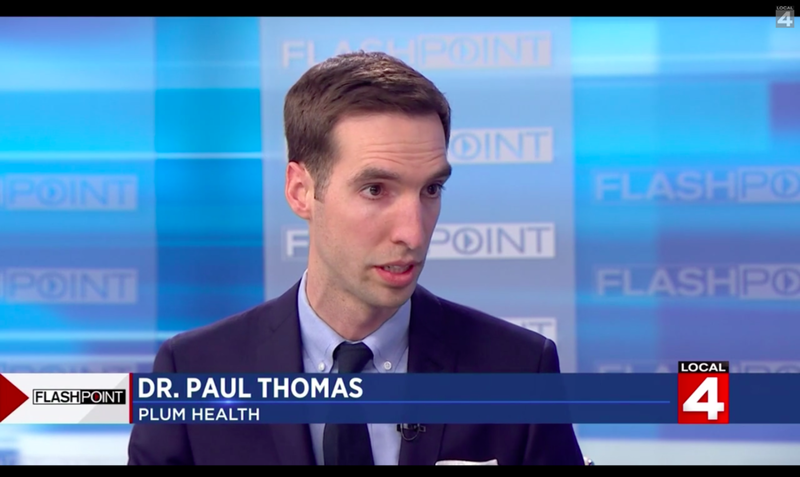 During the on-air interview, we only had 15 minutes to talk about Plum Health and Direct Primary Care. It simply was not enough time to get down into the nuances of what Direct Primary Care is, the mission of Plum Health, and the future of health care and health care policy in this country. This follow up interview in Crain's Detroit allowed for a deeper dive into these nuances, and so I must thank Mark S. Lee and the Crain's Detroit editorial team for working with me and publishing this important piece. You can read the full article here. I truly believe that Direct Primary Care will play a greater role in our health care ecosystem as people/health care consumers wake up to the actual cost of their medical care. By making health care prices transparent at Plum Health DPC, we allow people to use free market principles to purchase the health care that they need. Thanks so much for reading, thanks again to Mark and Crain's Detroit, and thank you the readers, followers, patients, and supporters that make Plum Health DPC possible! This week, we were featured in an article by The HUB Detroit, a local publication that focuses on Detroit neighborhoods. From their mission statement, they emphatically state: "our focus is Detroit’s neighborhoods. TheHUB’s multimedia platforms were created to give Detroit city residents and supporters a dedicated voice and space to discuss the real issues surrounding viable city neighborhoods." I am happy to be working in the neighborhoods in the City of Detroit, serving folks of diverse backgrounds via my clinic in Southwest Detroit. The article touched on this point by relating that I am embracing the neighborhood where I practice medicine. It's true - I spend a lot of time reaching out to folks in the community like small business organizations, small business owners, and non-profit groups like the Ford Resource and Engagement Center. Our goal is to improve the health and wellness of not only individuals, but also the community and we achieve this by delivering affordable, accessible healthcare in our community. I really appreciate the time that the editorial staff took to share the Plum Health story, and I'm excited for what the future holds for health in our City and our region. On February 9th, I was invited as a panelist at the Future of Healthcare event at Wayne State University School of Medicine. While at the event, I met Paul Natinsky, a writer for Healthcare Michigan. Friendly, outgoing and genuinely interested in the work that I was doing, Mr. Natinsky and I scheduled to meet up a few weeks later. When Mr. Natinsky came to our Plum Health office, he brought his tape recorder and camera, and most importantly he brought his insight and some tough questions. We talked for well over an hour on a variety of subjects. This week, he released his notes from that meeting in the form of a publication in Healthcare Michigan. The work that we're doing with Plum Health is the feature story in the March 2017 issue, and we couldn't be happier about spreading the word about Direct Primary Care in Michigan. You can read the article in full, here.